Concepts similar to America’s Mid-Century style that emerged in the twentieth century are found in Scandinavian design. It fuses clean lines and simple color palettes with lush functionality. This style flourished in the 1950’s as Arne Jacobsen kickstarted the trend with the concept of functional architecture in the Nordic region of Europe . What sets Scandinavian design apart from the rest is its focus on raw materials as well as color. Choosing the right fabrics is key. Start with materials that are inviting to the touch as well as sight. Soft linens and natural wools make excellent choices, among others, for minimalist furnishings. They’re often made in neutral or pale colors, so they fit the bill for any minimalist space. Wool simply adds beautiful texture and pattern to blankets while maintaining naturally neutral colors, as well as brighter modern hues. While linen and wool add warmth and color, faux fur accents bring the design back to its roots. Faux furs are especially common in Scandinavian design due to the location of its origin. Styling your home with faux furs harmonizes with traditional the Scandinavian culture. Small touches of color draw you into neutral spaces. 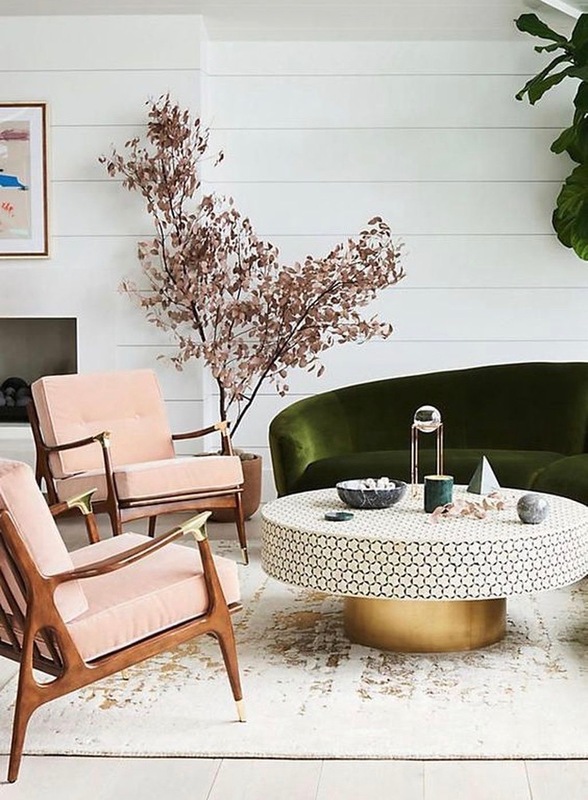 Though botanical or earth-toned accents are the norm for Scandinavian colors, this is where you can be really creative with what you use. Tip: a variety of shades from one hue lends well to keeping the decor simple in Scandinavian minimalism. See the rose tones in the chairs, decorative tree, and wall art? Muted hues are another way you can introduce color in minimalism. When you’re working muted colors, you give yourself the freedom to choose multiple hues without overwhelming the space. How easy will it be to now pick out your new decor with this in mind?! With a focus on craftsmanship, materials, and clean lines, the philosophy behind the style remains relevant today. 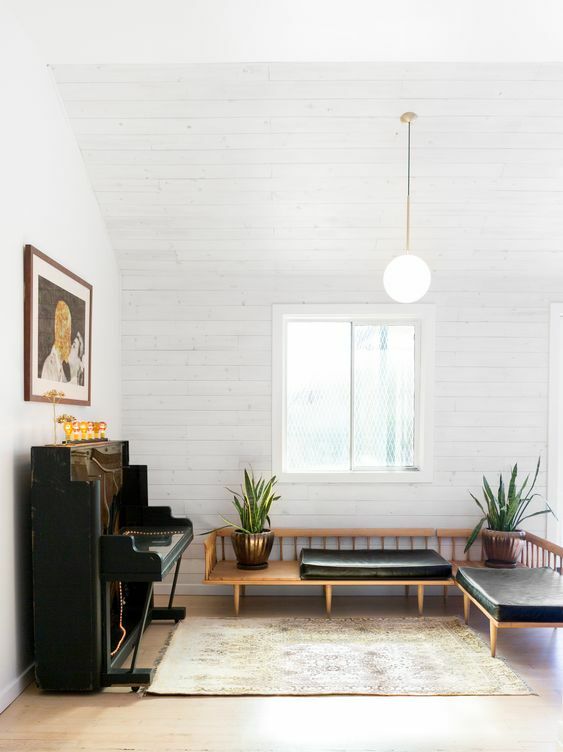 Minimalist spaces are practically the perfect place for artwork. Surrounded by neutrals, any piece will display beautifully. 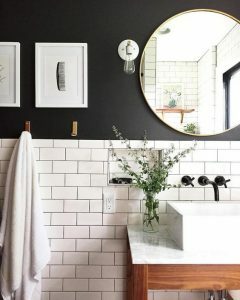 In the bathroom featured here, you can see several pieces accented among the Scandinavian basics. The leafy greens and black silhouette paintings attract the eye without taking away the simplicity of the space. Yet reflected in the mirror is a brightly colored painting that, while subtle, introduces a more contemporary style. Keep in mind these two concepts when looking for (or creating) art to feature in a Scandinavian room: traditional and alternative. 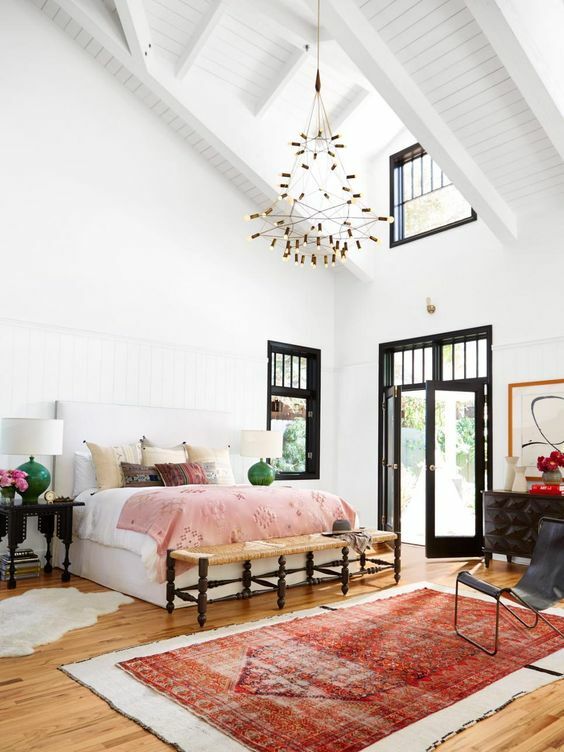 While the traditional approach adds some creativity and life to your space, alternative styles deviate a little further. Artwork becomes your opportunity to make the space your own while maintaining the minimalist atmosphere. Like what you see? Schedule a free in-home consultation with us here. If you read last month’s issue, you’ll remember that we began featuring our favorite Do-It-Yourself projects. These DIY’s are for everyone from young, new homeowners to long-time professionals. Keeping with this month’s topic, our DIY of the month is a chic wall hanging. It’s the perfect decor for any Scandinavian space! 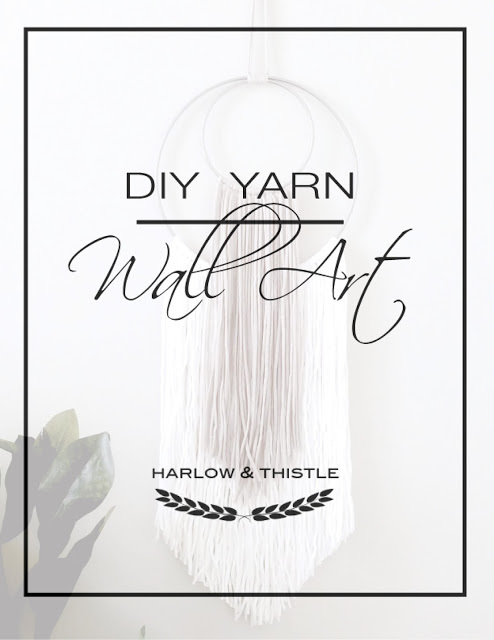 Thanks to Andrea from Harlow & Thistle, you can have “lux for less” with this homemade wall hanging. 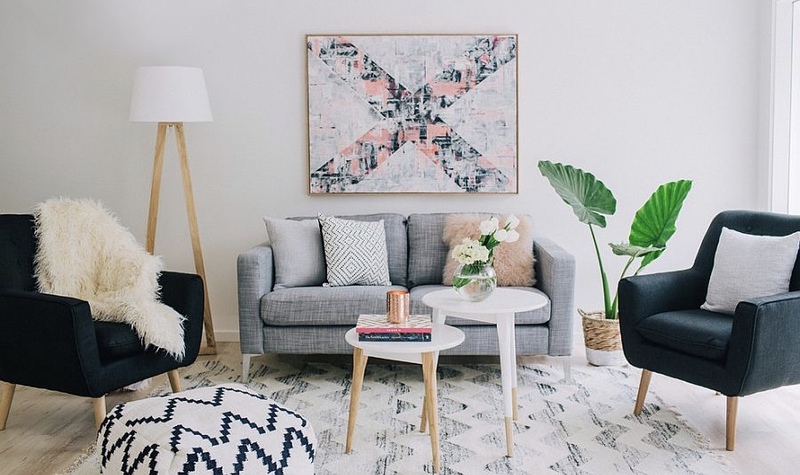 I love the idea of making a space your own while maintaining the minimalist atmosphere. As for me, I’m looking to get rid of clutter and brighten things a bit. Love these posts, great ideas keep them coming!